This is the transfer that Liverpool fans have been waiting for ever since its announcement in the summer. The Reds’ fans are just wondering when July 1 will arrive and they will see their coveted man Naby Keita in the red of Liverpool. The Merseyside outfit tried their best to bring the man to the Premier League this January, but RB Leipzig’s firm stand denied them to do so. However, eventually, it will happen—and that is when Liverpool will improve as a team. Keita’s qualities as a player can improve any team in the world—and Liverpool an overwhelming an outfit that needs a lot of improvement. Here are 3 ways Guinean’s presence will benefit the Merseyside outfit. 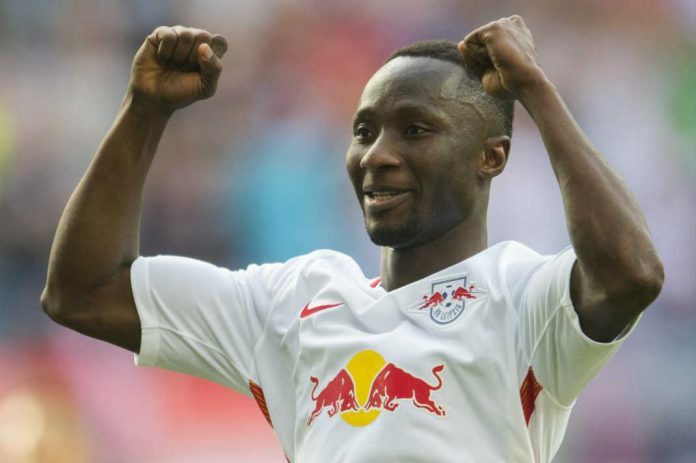 Naby Keita plies his trade in front of the backline for RB Leipzig. As a result, it is mandatory for such a player to have defensive skills in order to guard the backline—and he has that in abundance. The box-to-box midfielder is strong in the tackle and always makes up for his forward forays with that. However, that is not even the best part of his game. He can understand and read the game like only a few other and that allows him to read the opponents’ attack even before they execute it. As a result, he is almost always in the right place at the right time. And that, in turn, allows him to avert a potentially dangerous situation with his awareness. Keita is the epitome of a modern midfielder. The only thing he lacks is the aerial ability, and that is understandable given that he is short in stature. The Guinean is an expert dribbler of the ball and can get out of tricky situations. Indeed, he easily evades opposition players that press him vehemently by using his superior ball control skills. Once upon a time, midfielders who guarded the backline could do only one thing with the ball at their feet: pass it to the nearest man. However, Keita is much more than that. He can not only win the ball from the opponents but also rush forward with it if there is an opening. This makes him a devastating presence in attack—and under the tutelage of Jurgen Klopp, he will only get better. Someone that has so many qualities is an automatic match-winner. While Timo Werner scored the majority of the goals for Leipzig last season, Naby Keita was the man that made the most difference. 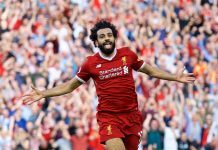 The African can win games solely with this ability—and Liverpool need someone like that. Liverpool do have a lot of match-winners in their attack, but in midfield, they lack someone like a Steven Gerrard—who, at his best, could make an inch-perfect tackle and then hoof a precise long-ball on the counter.